Tarot cards work with their deep rooted history and associations; however Angel cards are part of the Oracle card family. 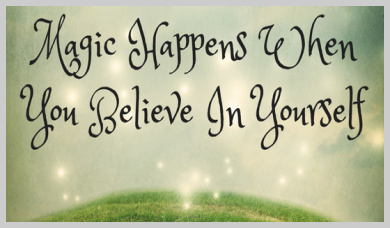 Oracle cards can be Angel, Unicorn, Fairy or Love cards, the list is endless, they have same purpose to guide and protect on our journey with the use of inspirational and motivational words and phrases. An oracle is a priest or priestess who acts as a medium through which advice or prophecy is sought from the Gods of classical antiquity in Ancient Greece. Oracle cards became popular in 19th century France and they are known to have symbolic pictures with precise meanings. Over the years new oracle cards have been designed and during the ‘new age movement’ Angel cards emerged. 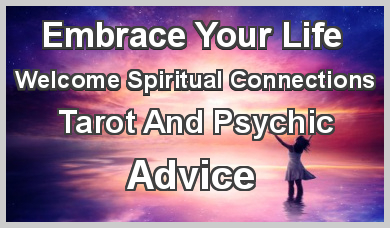 Tarot cards have a strict structure unlike oracle cards and this lack of structure has allowed readers to develop oracle cards based on their own personal inspiration such as Angel cards or Fairies. Angel cards are traditionally used for a more positive reading with light and love being the central theme. These cards can inspire and be used to motivate and give comfort and grace. We all have a guardian Angel that can guide us, advise and protect us. We can tap into this divination spirit through the cards. Angel card readings can help when we are feeling low and want comfort and seek solace. This kind of reading can help channel the power of Angels who can help us to see a way to improve things and move the situation forward in a more positive light with guidance and love. Angel cards illustrations are invariably beautiful and esoteric and can appeal to the beginner as there are usually instructions and descriptions of each card along with a guidebook. Angel cards are widely available to buy and are even recommended for children due to the positive and uplifting messages. You do not have to be a psychic medium to use Angel cards yourself but belief in the angels all around us and ask for their assistance. Diana Cooper and Doreen Virtue are two popular creators. We have a number of readers who like to work with Angel cards, so why not try a reading for you to see how motivational they can be! Belief in guardian angels or spirit guides can be traced throughout ancient times. Every individual has an angel to protect and guide them however most of us are just too busy to listen. So you may ask “Why don't angels come to a person's aid every time it's asked for”? There are times when your angel must stand back and let you work it out for yourself even though you still have their spiritual support. So how do you communicate? I suggest make yourself comfortable by sitting or lying down. Be aware of your breathing and relax your whole body. Close your eyes empty your mind and create space. Let your angel know you want to connect with them and wait in peace and patience. You are very unlikely to visualize your angel but you will feel subtle changes occurring. Light or colours behind your eyes may be apparent or a tingling sensation and a feeling of warmth. If you want a clear message from your angel, think about it in depth and ask your question out loud. If your concern is about your love life, career, family or just day to day decision making, your angel will help guide you to reach the right outcome for you. You can even write a letter to your angel, as silly as it sounds this will help you state your question clearly and help you find the answer. Of course if you don’t feel that this will work for you, you can always seek help with an Angel Card Reading. 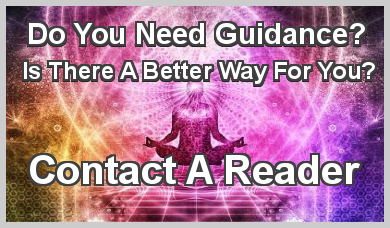 The connection will work in the same way, but you have a helping hand to link up and by using the cards, your reader can provide the guidance and answers you are seeking. Angel cards are particularly useful for love and relationship questions. Try a reading and it will ignite your relationship with your angel. Love begins with you. WHAT KIND OF THINGS CAN I DISCOVER FROM AN ANGEL CARD READING? An Angel card reading is a rewarding experience and can leave you feeling upbeat, full of joy and cleansed. This feeling of renewal will re-energise you and inspire you to connect to a higher plane of understanding and connection with the Archangels. Keep an open mind and allow the Angels to deliver joy, happiness and laughter to your life. When commencing an Angel card reading, your reader will start by asking the Angels for guidance and energy. The cards can provide affirmations and inspiration insight. Many Angel card readers also combine the cards with crystals in order bring in that energy for example clear quartz is very good for energizing the reading. Rose quartz is good for readings about relationships and questions on love and family. Amethyst brings psychic energy and can provide deeper insight to the cards. 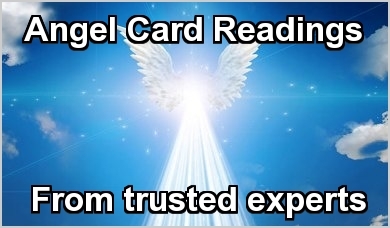 In this section we have many readers listed who use Angel cards or work with the Angels within their readings, to find the one that is best suited to you click on their profile page and you can read their full biography including such items as how long they have been reading, how they work, if they have certificates or have worked with any notable psychics. HOW LONG WILL MY ANGEL CARD READING BE? WHAT KIND OF QUESTIONS CAN I ASK IN AN ANGEL CARD READING? It’s a good idea to have your questions ready so preparation is key. General readings are all well and good but having one or two specific questions will enhance your experience. If during the readings other answers present themselves rest assured our readers will pick them up and convey them to you. Make you the focal point of the reading so concentrate on asking a question about yourself. What can I do to help me forward to my next relationship? How can I help myself to handle my disappointment with friend/work/partner? I have an important decision to make what should I consider before choosing? Often the answers we look for regarding relationships are already in our hearts but when you need extra guidance and Angel card love reading can be ideal. Go in search of new experiences as every time you do something that takes you outside of your comfort zone you expand your awareness and attract something new. New people, new opportunities and possibly a new love. The cards may even suggest and guide you to go to that wedding or work event you had no intention of going to, but if you choose to take that guidance, you never know where it might lead. Angels and Guides work on your highest good, and can help you to build strength in areas of your life where it is needed.